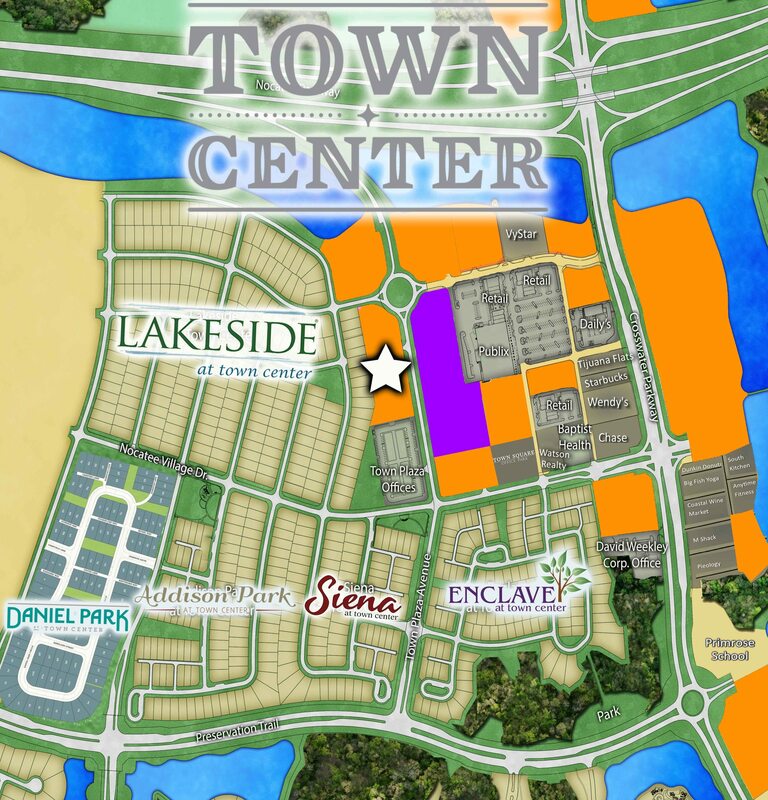 NTC Office, LLC, a venture of Silverfield Group and Morales Group, is pleased to announce their second project in Nocatee. The project, which has yet to be named, is planned for four buildings totaling approximately 32,000 square feet. Construction will begin this spring with the first building slated to be completed by December 2018. 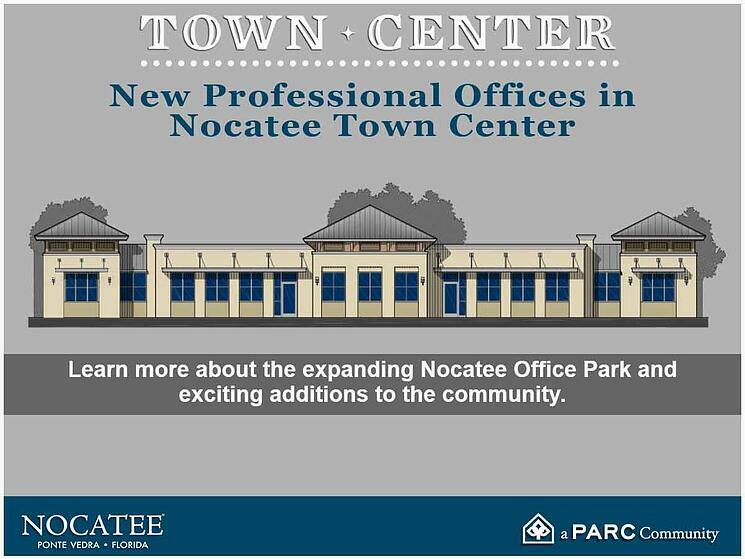 For more information on business and office opportunities at Town Plaza Offices at Nocatee, click HERE. The new project will be geared towards medical practices, attorneys, accountants, financial advisors, insurance agents and other office businesses, but will not include any retail stores. The lease-only offices will be designed and built to suit the tenants’ needs. The variety of eateries and shops in the pedestrian- and EV-friendly Nocatee Town Center is also rapidly expanding. Artsy Abode, Bicycles Etc., Gwen Berlin, GNC Health Store, Ponte Vedra Golf Carts, and Orangtheory Fitness all recently celebrated grand-openings. Restaurants Jersey Mike’s Subs, Timoti's Seafood Shak, Treylor Park, and South Kitchen are scheduled to open in 2018. To learn more about new homes at Nocatee, explore Nocatee.com, call 1-800-NOCATEE or stop by the Nocatee Welcome Center.